The capital city of Bavaria, Munich, is famous for its beautiful architecture, rich culture, and the annual Oktoberfest beer celebration. 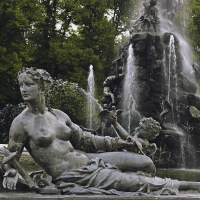 Munich`s cultural scene is second to none in Germany, with the museums even considered by some to outrank Berlin in quality. There is truly so much to explore in this historic, artistic, and entertaining city. 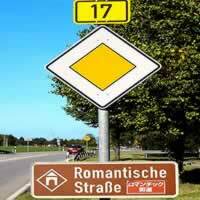 Discover the Romantic Road a famous Germany vacation destination that possesses the perfect embodiment of German scenery and culture. Visit Munich(A Big-city style with rural charm, Alpine character art treasures and the Oktoberfest); Fussen (a Bavarian town at the footsteps of the Alps); Rothenburg ob der tauber (A medieval town seemingly untouched by the passage of time within undamaged 13th-century city walls) and Frankfurt (the unique `Museum Mile` along the banks of the Main river, traditional cider pubs in Sachsenhausen). Travel via rent a car. This is a flexible package. Select your number of nights in each city, desired hotel, category of car and activities. Visit Germany with this distinctive vacation in Europe; Begin in Berlin (the capital city holding world cultural records for their opera, concert halls and symphonies; with a stoic heartbeat that fills the city and its ultra-modern buildings, lush parks and bustling pubs) then take the ICE (InterCity Express) train to Munich (big city style and rural charm permeate this capital of Bavaria; beer gardens, cool bars, delectable cuisine, local festivals, art treasures, lovingly restored architectural masterpieces). This is a flexible vacation package. Select your number of nights in each city, desired hotel and activities. One of our most popular vacation packages exploring eastern Europe, this tour will lead you through three cities that retain a strong historical context while embracing a chic, modern style. Begin in Munich (the capital of Bavaria; stunning architecture - painstakingly restored from damage sustained in WWII, the annual Oktoberfest, museums) and continue to Salzburg (known as the Florence of the north for its undeniable contribution to the world of art; it is also the birthplace of Mozart) and last, Vienna (the city of waltzes, classical music, leading cultural centers and trendy coffee houses). Travel between each city on the train. This is a flexible vacation package. Select your number of nights in each city, desired hotel and activities. One of our most popular vacation packages exploring eastern Europe, this tour will lead you through four cities that retain a strong historical context while embracing a chic, modern style. Begin in Munich (the capital of Bavaria; stunning architecture - painstakingly restored from damage sustained in WWII, the annual Oktoberfest, museums) and continue to Prague (a city that has seen its share of turmoil but today retains an incredible amount of charm and unique identity sculpted from centuries of changing hands), Vienna (the city of waltzes, classical music, leading cultural centers and trendy coffee houses) and Budapest (which is 2 cities in 1; the stunning Buda set on hills with castles and fortresses and the much flatter Pest side across the Danube, with museums, restaurant and grand boulevards). Travel between each city on the train. This is a flexible vacation package. Select your number of nights in each city, desired hotel and activities. Big-city style and rural charm, Alpine character and Mediterranean verve, art treasures and the Oktoberfest, traditional customs and high technology, beer gardens and haute cuisine, operas and cool bars; these are all ingredients that make Munich, Bavaria`s state capital, so endlessly fascinating and so popular with visitors from all over the world. 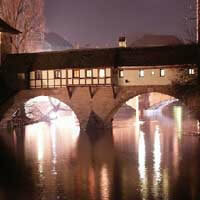 One of Germany's most festive cities, and its location, at the foot of the Alps, is idyllic. Munich's self-imposed image is that of a fun-loving and festival-addicted city - typified by its Oktoberfest. We recommend at least 6 nights in this fascinating city to experience its full scope. 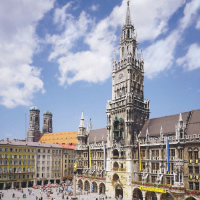 Must See`s include: Marienplatz and the New Town Hall, Frauenkirche, Dachau Concentration Camp, The English Garden, Beer Halls, Viktualienmarkt, Residence Palace, Deutsches Museum, Alte Pinakothek, Neue Pinakothek, Pinakothek der Moderne, Olympic Stadium of Munich, BMW Museum and much more. This is a flexible vacation package. Select your number of nights in each city, desired hotel and activities. Paris, Munich and Vienna with the TGV and the ICE high speed Trains. One of our most popular vacation packages exploring eastern Europe, this tour will lead you through cities that retain a strong historical context while embracing a chic, modern style. Begin in Munich (the capital of Bavaria; stunning architecture - painstakingly restored from damage sustained in WWII, the annual Oktoberfest, museums) and continue to Salzburg (known as the Florence of the north for its undeniable contribution to the world of art; it is also the birthplace of Mozart) and Innsbruck (one of the oldest and most idyllic ski towns in Europe) and lastly Zurich (a charming old town with cobbled streets and museums which define its cultural and political position). Travel between each city on the train. This is a flexible vacation package. Select your number of nights in each city, desired hotel and activities. 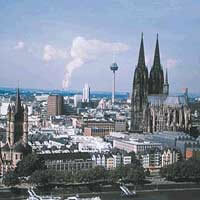 Visit Berlin, Hamburg, Dusseldorf, Stutgart, Cologne and Munich with the ICE train. A perfect combination of charming cities and breathtaking castles across Europe with this unique opportunity to explore on your own with a rental car; Begin in Berlin (the capital city holding world cultural records for their opera, concert halls and symphonies; with a stoic heartbeat that fills the city and its ultra-modern buildings, lush parks and bustling pubs) before heading to Prague (a city layered with multiple cultures; the stunning spires of churches dominating the skyline have rendered the city`s nickname `the city of 10,000 spires`); next Vienna (known for its classical music and waltzes; stunning gardens and delicate, unique almond cakes) and last Munich (big city style and rural charm permeate this capital of Bavaria; beer gardens, cool bars, delectable cuisine, local festivals, art treasures, lovingly restored architectural masterpieces). This is a flexible vacation package. Select your number of nights in each city, desired hotel and activities. Combine Budapest, Munich, Dresden and Berlin with the ICE and IC trains. 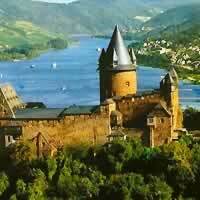 Visit Munich, Heidelburg, Wurzburg and Frankfurt with the ICE train. 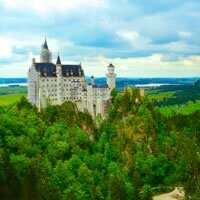 Journey through Germany and Czech Republic like never before with this customizable package. 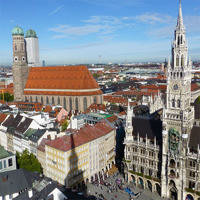 Start in Munich (a haven of history and culture, with museums galore, operas, theaters, public parks and the somber Dachau) and then continue to Nuremberg, Berlin and finally Prague (the City of a Thousand Spires reflecting centuries of religious control dominate the skyline; today theater and arts are thriving among towering churches, centuries old bridges and romantic alleys). All transfers between cities are by train. This is a flexible vacation package. Select your number of nights in each city, desired hotels and activities. 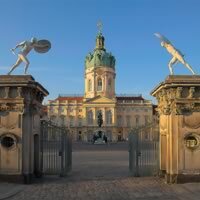 Take an unforgettable vacation through Germany and visit Berlin, Nuremberg, Munich, Rothenburg, Heidelberg, Cologne and Frankfurt by train and rent a car. There is simply no shortage of museums, churches, parks, historic sights or activities to explore in these fascinating cities. This is a flexible vacation package. Select your number of nights in the city, desired hotel and activities. 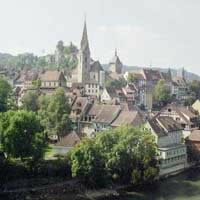 Visit Franfurt, Heidelburg, Fussen and Munich with the ICE train. 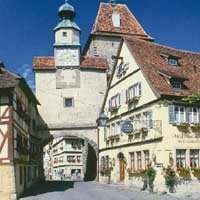 Take an unforgettable vacation through Germany and visit Nuremberg, Rothenburg and Munich with a rent a car. There is simply no shortage of museums, churches, parks, historic sights or activities to explore in these fascinating cities. This is a flexible vacation package. Select your number of nights in the city, desired hotel and activities. Take an exciting, unforgettable vacation through Europe with our customizable package! 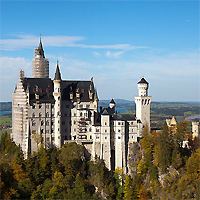 Begin your adventure in Munich (a haven of history and culture) and then connect to Innsbruck, Salzburg and Vienna with ICE Train. There are multiple museums, public parks, historic sights, churches, restaurants and activities to keep you busy in each of these fascinating destinations! This is a flexible vacation package. Select your number of nights in each city, desired hotel and activities. 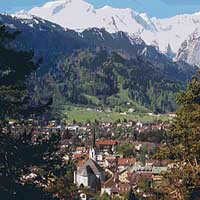 Visit Zurich, Lucerne, Interlaken, Geneva, Milan, Lake Maggiore - Stresa, St Moritz, Lugano, Innsbruck, Vienna, Salzburg and Munich with the Trains.